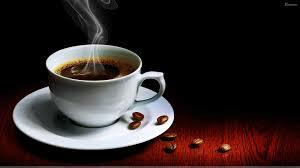 “Very hot drinks may cause cancer, but coffee does not, says WHO,” The Guardian reports. A review by the International Agency for Research on Cancer (IARC) concluded that only beverages consumed at higher than 65C posed a possible cancer risk. The working group’s report re-evaluated the cancer-causing properties of drinking coffee, maté (a South American drink), and very hot beverages. Coffee was classified as a possible cause of cancer in 1991, but the group has cleared the previous classification and suggested any suspected link was because of the hot temperature of the drink. The researchers concluded there was limited evidence that drinking coffee and maté causes cancer, but say the risk of cancer of the oesophagus – the gullet – may increase with the temperature of the drink above 65C (149F). Both the Daily Mirror and Daily Mail covered the story. The Mirror reports that leaving your cup of tea for around five minutes should cool it to a safe level. The Mail reports that, not entirely surprisingly, store-bought black coffee is hot, at between 66 and 81C. So again, it is best left to cool for a while. As it stands, smoking or alcohol consumption pose a bigger – and better documented – risk for oesophageal cancer.